As one of the group of us who don't drive our T's during the winter, I admit to not thinking clearly during these times. 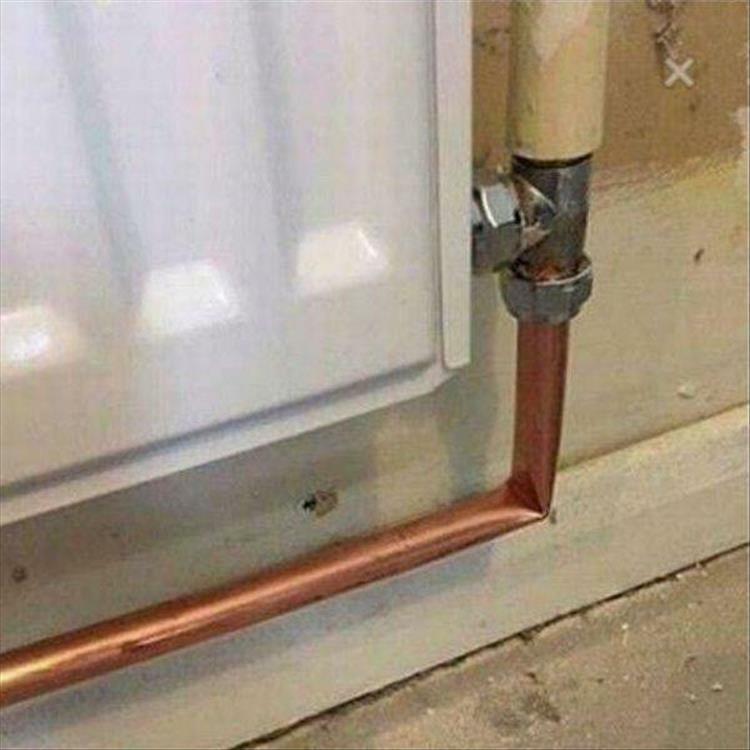 As a tradesman who does a fair amount of plumbing, this pic gave me a well needed chuckle. I once responded to a service call because a fellow digging a hole had cut a cable television cable. He was in a hurry, and had filled the hole in before I got there. (Hey! I had to drive fifty miles! Can't DO that in five minutes!) He kept telling me that he had "taken care of the cut cable", but I didn't believe him. Had to go down the line and test the signal with my meter before he would relent and let me dig it back up. He had tied the ends of the cable together in a nice boy scout square knot.